If you have been following my blog, then you know that I am on a mission to find a better moisturizer for my face. These past few months, it seems as if something works for a short period of time, and then my skin just goes back to being so dry. I can't even apply foundation most days because it just makes me look so flaky, even if my skin doesn't look dry or flaky before applying. It's very frustrating. There was Shiseido moisturizer that I used to buy a few years ago, and I just haven't been able to find anything that compares to how well it worked for me. They discontinued it and introduced another, but it doesn't come close to how well the previous worked for me. I'm on a mission to try other lines of their moisturizers, but I just don't have the funds right now. Although, buying one expensive moisturizer that works would be better than buying bunch of cheapies every few months. In the summer I tried Live Clean's Argan Shampoo and Conditioner. I really loved that it was a more natural line. I found on their website that they carry skin care as well, and I thought just maybe this will help my dry skin. I ended up purchasing a travel kit and a full size night cream. I've been using it on and off for a few months. Live Clean is 98% Plant Derived, SLS/Sulfate Free, Hypoallergenic, Silicone Free and Dye Free. 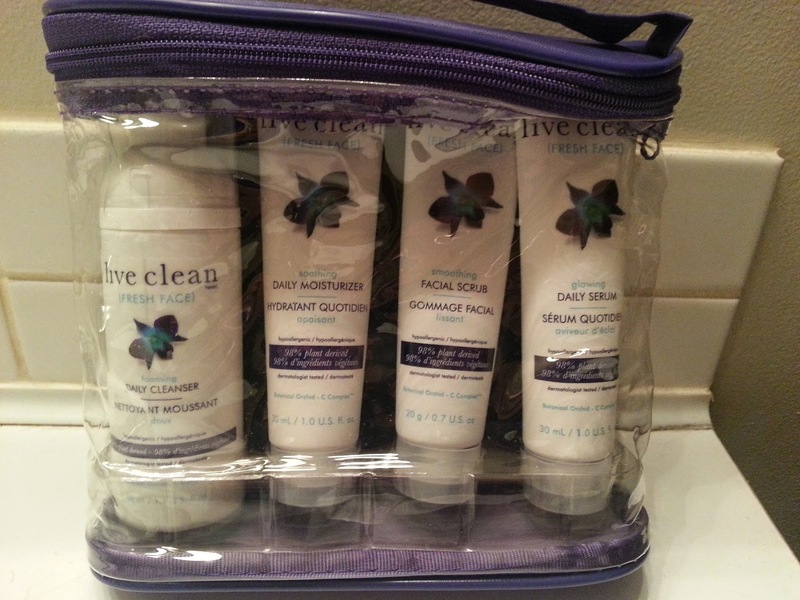 I only really bought this travel kit because I wanted to try the serum. I believe I paid less than $10 at the time, so I figured it was a good deal to try all the different facial products instead of only one product. I haven't tried the foaming daily cleanser, or soothing facial scrub, just because I have so many other cleansers and scrubs on the go. I'm trying to use some up and it just seems like they are never ending! The daily moisturizer is more of a thin consistency. I don't find this to be moisturizing enough for me. Which I was kind of expecting to begin with, but it never hurts to try. I can probably pass this along or try it under thicker moisturizers. The glowing daily serum. I had never tried a serum before, just Argan Oil. The serum comes out as a white-ish tone, and is a little more thick than the argan oil. It applies easily and soaks into the skin pretty quickly, but I find that it pills a lot. No matter if I put something over top or not. 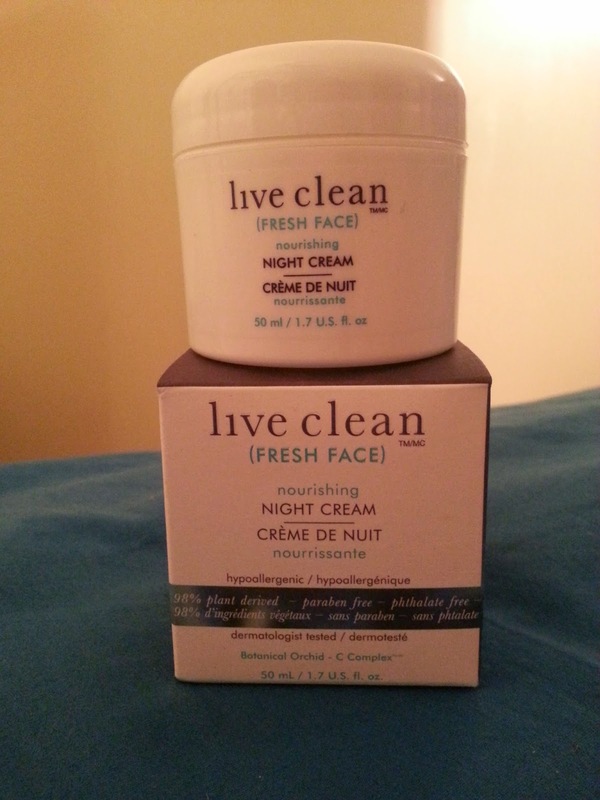 I also purchased the nourishing night cream, with hopes of it moisturizing my skin. I tend to choose creams because they are thicker and actually feel as if they are hydrating my skin. This cream isn't as thick as I was expecting it to be, and it wasn't as moisturizing either. This one pills SO bad. I don't know what it is about this line, but it just doesn't work on my skin. I've tried it with other cleansers, I've tried patting it on, I've tried rubbing it in, and no matter what I do, it just pills. So disappointing. That being said, I really loved the hair line that I used, I just wish I had a better experience with the skin care line.